After creating an invoice from your time entries, send it straight to your Contacts or send it to your accounting software to send to your Contacts from there. Once you have connected your accounting software to MinuteDock you are able to send your draft invoices over with one click of a button. See if we integrate with your accounting software here. If you don’t use any software for invoicing just click on the email option. 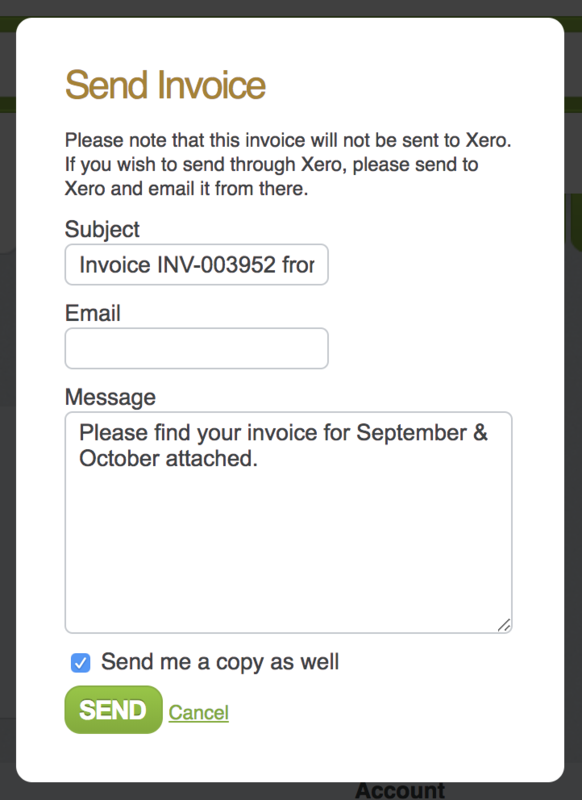 You can email the Invoice straight to your Contact and send a copy to yourself. When sending invoices straight from MinuteDock you can configure your settings under the Account tab. Just head to ‘Account settings’. Here you can change the default due date, heading, contact details and add a logo. 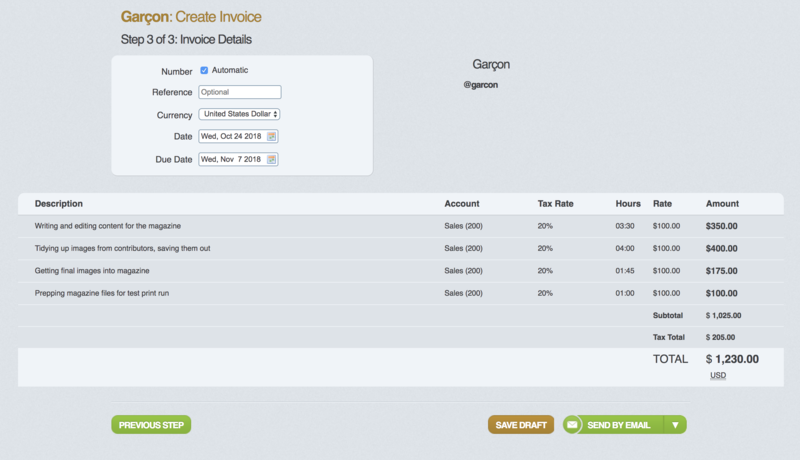 You can also add invoice terms and payment advice. Here you can add in bank details or instructions on how to pay.